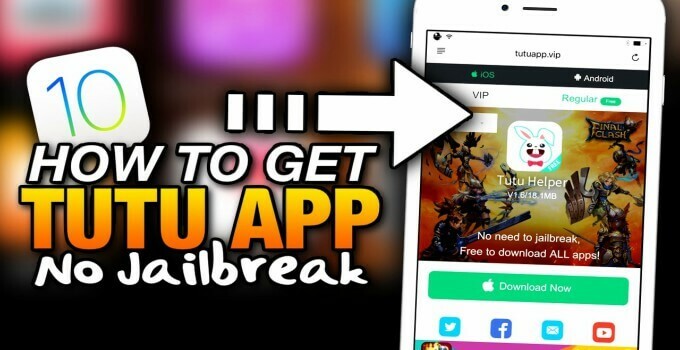 TutuApp is a great Cydia alternative that works with or without jailbreak. Here’s how to install it. 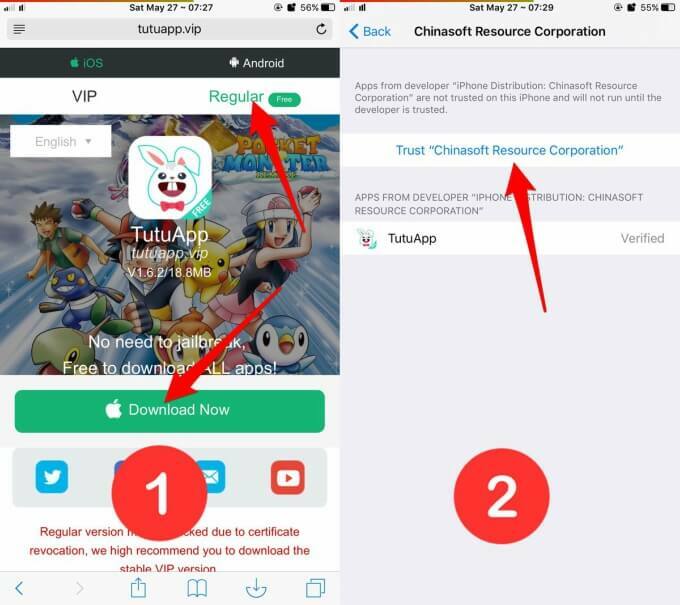 TuTuApp Regular vs TuTuApp VIP – Which is better? Is TuTuApp or TuTuHelper Safe to install? Which Firmware versions are Compatible with TuTuApp? 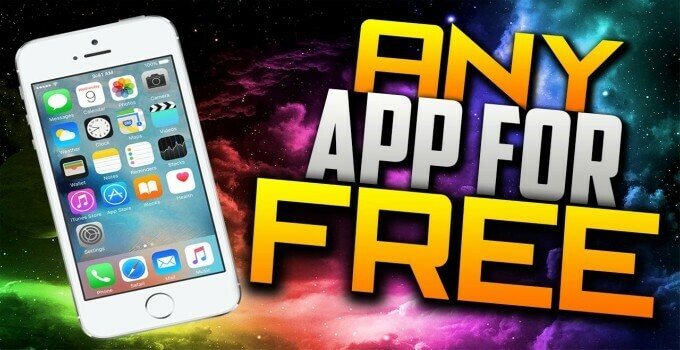 Enjoy Free Apps and Games! TutuApp is a Chinese application that allows you to download paid App Store apps for free. It is also very convenient to install and use – you just need to press a few buttons and that’s it. There’s no need to enter your Apple ID credentials or any other information. Moreover, it provides very high download speeds. The “Regular” version is free to download and install. But like every free app, it comes with a few caveats. It is more prone to stop working abruptly because of certificate revocation. The VIP version is paid but offers much more stability and reliability. Needless to say, it’s a pirate app and hence more users will go for the regular version. 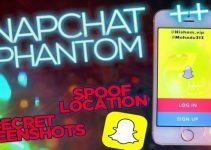 There’s always some risk involved in installing and using hacked apps. However, iOS is a very secure and closed operating system that keeps your data safe. Hence, 3rd-party applications can’t fully access your data and modify it. iOS version of TutuApp is totally safe to install and use. TutuApp is not a privacy concern whatsoever and doesn’t meddle with your data. However, they do show advertisements in their apps which can be a nuisance to some users. Other than that, you need not worry about any privacy breach or malware infection. It is also available for Android devices. As far as the Android operating system is concerned, it may or may not be a privacy concern. I have no experience with the Android version as I don’t own an Android device. Open Safari web browser on your iPhone, iPad or iPod. Go this address – http://tutuapp.vip. Select the Regular tab present on the top. 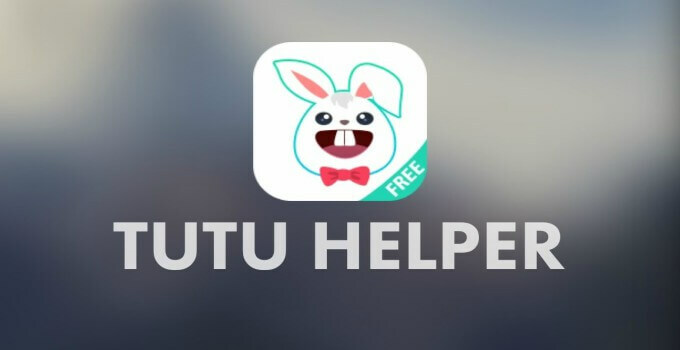 Press the Download Now button to download and install TutuHelper on your device. If you want to install the VIP version, you will need to pay for it. Step 2 Once installed, you will not be able to open it. 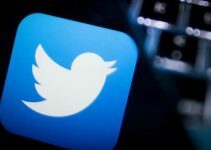 You will need to trust its profile from the Settings section. Trust the “Chinasoft Resource Corporation” profile and confirm it. Step 3 That’s all there’s to it! You can now download paid applications, hacked games, and bots for free. Simply search for the application you wish to install on your device and press Get. 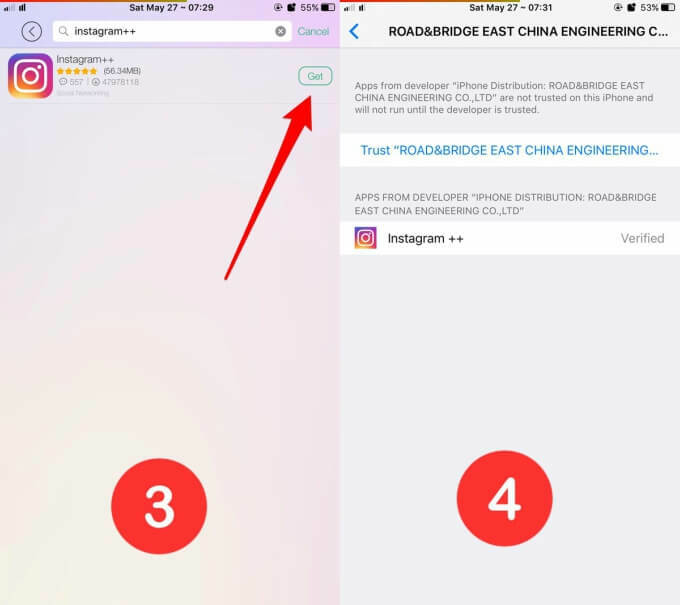 For example, if you want to install Instagram++, simply type “intagram++” in the search box and let it search for the app. Step 4 Once the desired application is installed, again go to Settings > General > Profiles & Device Management and trust its developer profile. Here’s a detailed video tutorial for downloading and installing it. You can now easily download and install paid apps and games for free. If you can afford to buy an app, please support the developers. If you are getting any errors or facing problems installing TutuApp, leave a comment below. For more such tutorials and guides, follow us on Twitter and Facebook.